In the twelfth and thirteenth centuries a leprosy epidemic spread through Europe, and many leper houses were built. 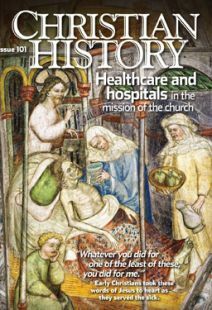 By 1225, there were somewhere in the neighborhood of 19,000 leper houses in Europe. Later, many of them served as hospitals for victims of the bubonic plague.